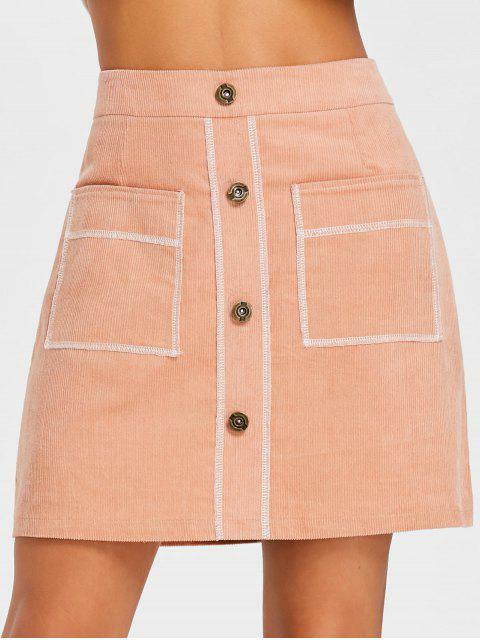 [37% OFF] 2019 Contrast Stitches A Line Corduroy Skirt In ORANGEPINK | ZAFUL .. I loved this skirt so much. It's true to the picture and of fantastic material. I got a size Medium. Cut to a classic A-line shape, our corduroy skirt deserves a space in your wardrobe. Its button and contrast stitches detail add a lively look, while the high waist will ensure you look just as good after dinner as before. Hidden back zip.